This is a small, well-behaved vine that will work well on trellises. We've had it growing here at the nursery in a large pot for several years now, and it looks great year after year. 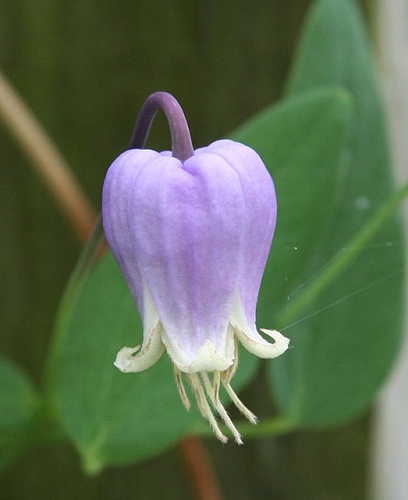 Leatherflower uses tendrils to climb and would be well-suited for a chain-link fence. It blooms off and on from late spring to early fall. The seed heads are also attractive: wispy, fuzzy tails sticking out from where the seed heads are clustered together in a globe. Q: What size pot do you recommend? Would the vine tolerate full sun for part of the day if planted on the north side of a house next to the foundation? A: A gallon-sized pot would work well for growing one or two plants. You could grow up to four plants in a container with a 2 to 3 foot diameter. Wild stonecrop makes a great filler in the pot below the vine. It should do okay on the north side of your house. 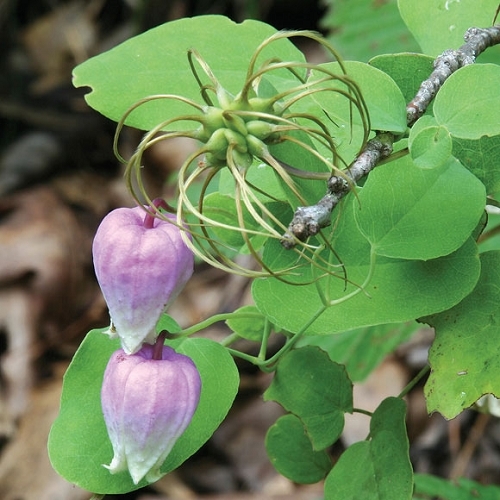 Q: I just got the catalog in the mail, and online it says clematis versicolor is out of stock already. Is that true?, if so, what is the expected wait time on the waiting list? A: We are not out of them yet. I'll check this week to see if they are ready to sell at this point. If they are salable, I'll change their status on the website, and the wait time if you're on the waiting list will be very brief. 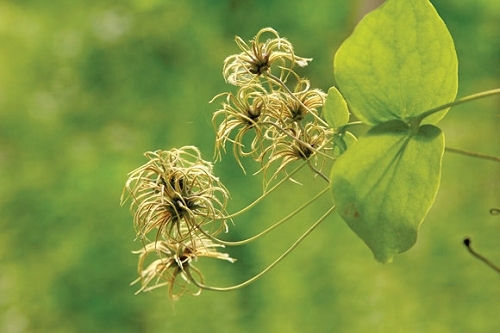 Q: do you have this plant in stock or seeds for mailing?? can I pay by check?? Looking for 2-4 plants or seeds. A: It is in stock as of 11/30/2018. Quart pots are $5.00 each (the plants are dormant). Seed is not available. If you'd like to pay by check, it will probably be easiest if you call us at 573-496-3492. A: Looking at the USDA Plant Hardiness map, it looks like C. versicolor grows in zones 6-9. We are still growing C. pitcheri. It may be available again this summer or fall (2019).